Last week we launched our Buzz feature enabling you to immediately recognize, reward and motivate your employees and fellow team members. We also added the ability to attach real time, tangible rewards in the form of gift cards delivered through our new partner – Tango Card. Here’s a quick overview on how to get started implementing the Hively Buzz reward system at your company. First, any Hively customer can send and receive a Buzz. Team members can send up to one Buzz each week and team leaders can send an unlimited amount of Buzz. Premium plans can also include rewards with each Buzz they send. Sending a Buzz is easy. We’ve placed a big orange button in the top menu bar that says ‘Send Buzz’. Simply click this button and a modal window will open. 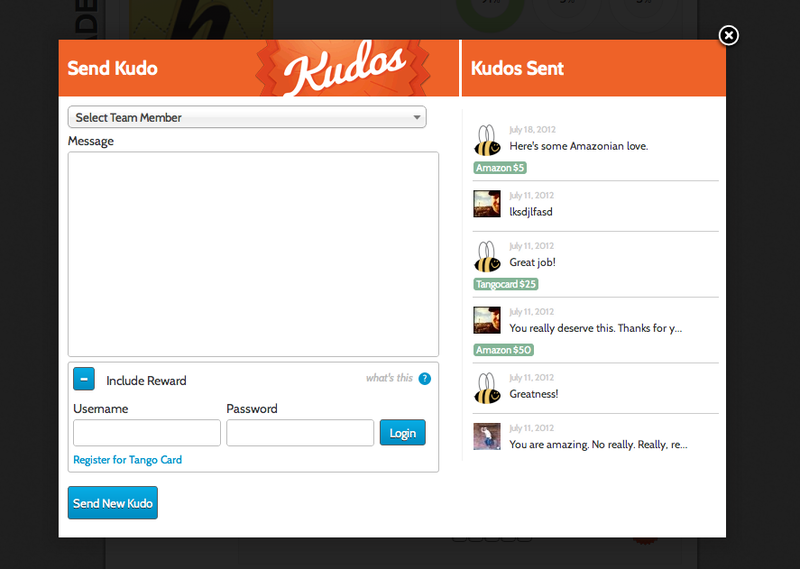 Select the team member you want to send a Buzz to and include a message. Click send and just like with Hively customer feedback, the Buzz recipient will instantly be notified. They will also have the Buzz badge prominently displayed on their leaderboard profile for your whole team to see. With each new Buzz received a +1 count will be displayed. Buzzes are separated from customer feedback and don’t effect your customer happiness scores. Here’s more detailed info on how to reward your employees with Buzz. Next, to include gift cards with a Buzz start by creating your Tango Card account. It’s simple and takes only a couple of minutes. Inside your Tango Card account purchase your first Tango Card for yourself. This will effectively work like a deposit into your account. Once you activate this card you can use the balance to buy other Tango Cards, gift cards to stores like REI, Target or Fandango, donate the amount to charity, or redeem it for cash! Now, login to your Hively account. When you go to send a Buzz there is an option to include a reward. Click this option and login with your Tango Card account credentials. 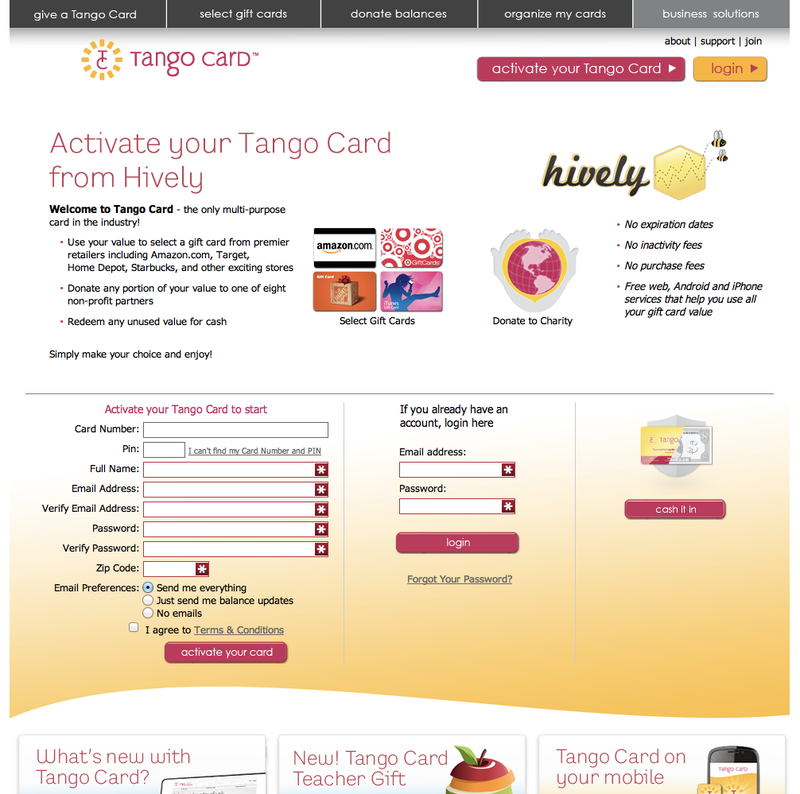 This will enable you to see your Tango Card account balance and send Tango Cards through Hively. Simply select the card you want to send and the amount. The recipient will receive a notification about earning a Buzz and the email will indicate that a gift card was also included. The gift card will be sent directly via Tango Card in a second email. 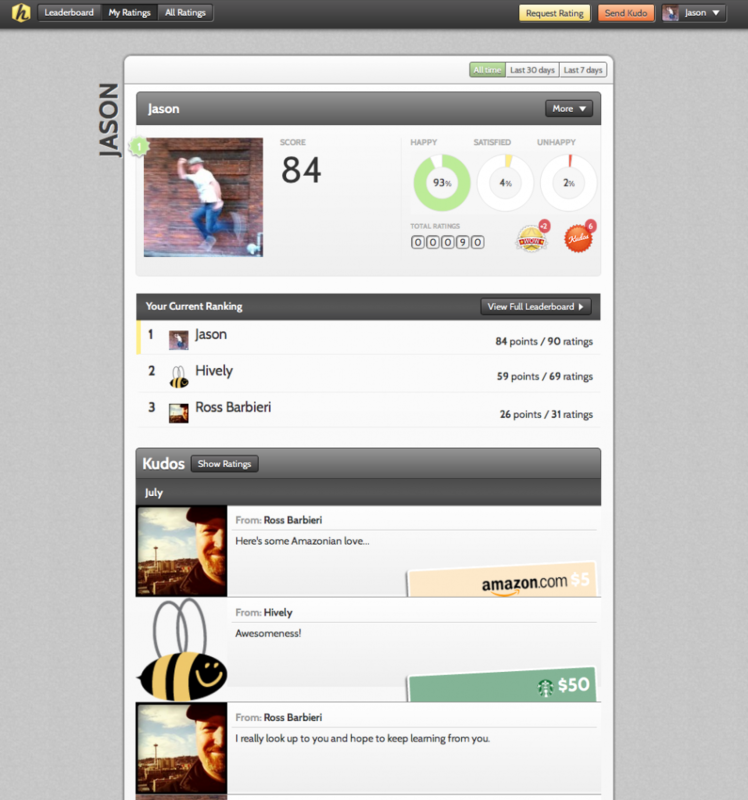 All Buzz that included a gift card will be displayed in your team members list of Buzz. Another cool thing about Tango Card is that you can activate and store any gift card you receive (digitally or physically) in your account. Doing this enables you to track balances and even use some cards digitally. 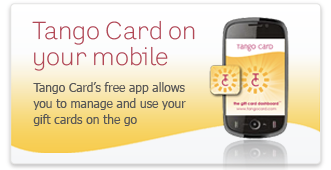 The Tango Card service is available on your iPad and iPhone so you can use and access your cards on the go! If you receive a Tango Card or any gift card simply activate it in your Tango Card account by putting in the card number and pin. Ta-Da! That’s it. Set up your Tango Card account today and get started rewarding your employees and fellow team members!